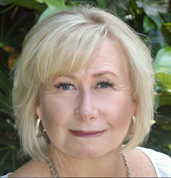 Kimberly is the founder of Archer Field Associates (previously known as Ehler Search Partners. Inc) and has more than 20 years of executive search experience building and guiding executive search, talent acquisition and HR solutions at top-tier companies. As an accomplished corporate executive recruiting and human capital professional, her vision and expertise in aligning next gen talent acquisition practices with business needs and strategic objectives has driven notable return to the organizations she has served. Kimberly is a long-time advocate for changing the executive recruiting game. She was an early pioneer in offering more creative, transparent and cost-effective solutions to executive search and has earned a distinguished reputation for providing customized search services tailored to each client’s individual needs. Kimberly has worked on engagements for some of the world’s most highly regarded employers. For one major financial institution, she successfully placed more than 150 leaders across its Commercial, Retail Banking and Credit Card Services. Her flexible, collaborative, and consultative approach to relationship building and customer service has not gone unnoticed, as is evidenced by 15 years of business produced exclusively by long-term, repeat client engagements and professional referrals. Kimberly’s flexible approach has included both the management & execution of executive search engagements and also the partnering with corporate in-house recruitment organizations to augment their internal talent acquisition activities. A few examples of these assignments include establishing the executive search function for T-Mobile, managing executive search activities for the R&D division of Research-In-Motion, acting as Executive Recruiting Principal and establishing the executive search function at Intellectual Ventures, and partnering with Washington Mutual’s executive search services across a variety of technology, business intelligence, financial and shared services organizations. In addition to her experience running Archer Field Associates, Kimberly’s career has also included corporate talent acquisition and human resource leadership roles at large, high-growth, domestic and international companies such as Amazon, T-Mobile, and Starbucks. Kelsey is a Principal and Partner at Archer Field. She has amassed close to 20 years of executive search, talent acquisition and human resource leadership experience. Working for large enterprise, entrepreneurial and high-technology companies, she has developed extensive talents and is highly regarded as a strategic thinker, talent acquisition leader and human resource practitioner. Prior to joining Archer field, Kelsey founded and served for five years as a Managing Director of Pacific Consulting, a well-regarded Seattle-based consulting firm focused on providing human capital and talent acquisition services. Kelsey established herself as an expert at developing and implementing, with the limited resources of small companies, successful HR systems and structures and ensuring that new companies have the talent needed to achieve business results and advance their market position. Her intuitive understanding of the impact of talent acquisition and human capital initiatives on overall business goals makes her a highly effective business partner. Kelsey has become a sought after talent acquisition and human resource expert by a growing number of venture capital, technology start-up and private equity leaders. Kelsey has held talent acquisition and human resource leadership positions in successful technology start-ups such as Intellectual Ventures Management and RootMetrics. Prior to these she was VP of Recruiting at Washington Mutual and held several talent acquisition and human resource leadership roles over a 10-year tenure at Microsoft. Kelsey’s education includes studies in human resource management at Seattle Pacific University and National Employment Law Institute. Kelsey is advancing her knowledge of executive leadership and is currently pursuing her CPCC coaching certification through CTI International. Liz Marshall is an Executive Recruiter at Archer Field. She brings over 15 years of experience with full life-cycle recruiting in both agency and in-house capacities. Her career began in IT project management and technical account management for xSides, a VC-funded startup that developed patented technologies in digital rights management by opening and expanding the black space around the edge of the screen on digital devices. From there she moved into recruiting for CapitalStream, an e-commerce company offering web solutions for the business lease/finance industry. She then moved to Precision, an IT staffing and consulting services company. In her role there she provided talent acquisition and staff augmentation for companies, government agencies, and non-profit organizations nationwide. Beginning in 2013 she has built an independent recruiting practice serving clients ranging from startups to Fortune 500, offering hourly fee-based consulting, retained and contingent staffing.